Just as the scar on Filip Konowal's face has not dissappeared, so will never fade the fame of this former Canadian soldier of Ukrainian origin, whose name is written in letters of gold in the history of Canada and the First World War. Your Exploit is one of the most daring and heroic in the history of my army. For this, accept my thanks. .
At the beginning of the war, hundreds or thousands of Ukrainians from Russia enlisted with the Canadian Expeditionary Forces as Russians, and no doubt the Canadian military statistical bureau would today show that most of these so-called Russians came from districts which are now in the territory comprising the Ukrainian State. Canadian recruiting officers soon discovered that those so-called Russians were nothing other than of the same stock as Ukrainians. Because they were not allowed to enlist as Austrians, they used fictitious names and gave false places of their birth to show that they came from Russia, some even calling themselves "Smith" and other English names. 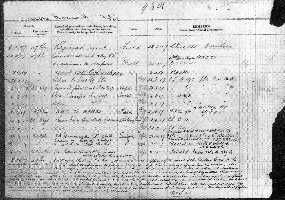 To estimate the number of Ukrainians who have enlisted in this way with the Canadian Expeditionary Forces would be very hard, as they were enlisting in various battalions from the Atlantic to the Pacific coast, but it is safe to say that, to the approximate half million soldiers in Canada, if the figures of the War Office were available, it could be shown that these people, per population, gave a larger percentage of men to the war than certain races in Canada have, after having enjoyed the privelages of British citizenship for a period of a century or more. . I was so fed up standing in the trench with water to my waist that I said the hell with it and started after the German army. 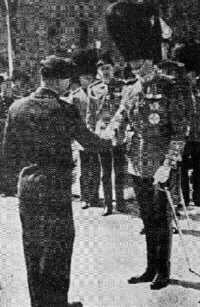 My captain tried to shoot me because he figured I was deserting. .
Konowal was again acknowledged for his valour during the 1939 Royal Tour when His Majesty King George VI shook his hand during the dedication of the National War Memorial, in Ottawa. He also kept in touch with his wartime comrades, even attempting to fight for Canada during the Second World War, an impossibility given his age. 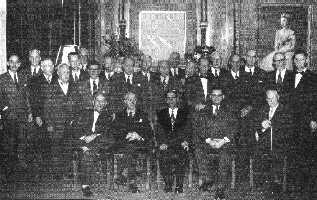 On 25 June 1956 Konowal joined 300 other Victoria Cross winners from around the world at a formal tea party at Westminster Hall hosted by the British Prime Minister, Sir Anthony Eden. On 26 June he participated in a march-past at Hyde Park, reviewed by Her Majesty Queen Elizabeth II and Prince Philip, followed by an afternoon garden party. In a photograph taken at the time Konowal is shown at centre of the front rank of Canadian Victoria Cross winners, a hero among heroes. Filip Konowal died on 3 June 1959, aged 72. His Victoria Cross and other medals were entrusted to Mr. G.R. Bohdan Panchuk, a Ukrainian Canadian veteran who had served with the R.C.A.F. during the Second World War and had become a leading member of the Ukrainian Canadian Veteran's Association. These medals were eventually acquired by the Canadian War Museum, where they remain to this day. 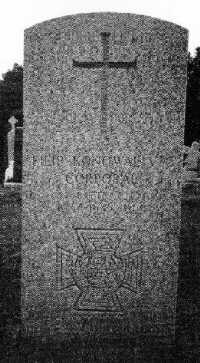 Konowal was buried from the St. John the Baptist Ukrainian Catholic Church, with full military honours by his regiment, in Lot 502, Section A, at the Notre Dame Cemetary, in Ottawa. His wife, who died at age 86, was buried beside him on 3 March 1987. In 1995, Lieutenant (retd) Ron Sorobey, of the Cameron Highlanders of Ottawa, began research on Konowal's military record and life. Later he began working with Tony Pidkalenko, other individuals and groups, whose collective efforts ensured that Konowal's story was commemorated in a timely and honourable manner. A wreath-laying ceremony, organized by the Ukrainian Canadian Professional and Business Association of Ottawa, involving representatives of The Governor General's Foot Guards, The Royal Canadian Mounted Police, The Royal Canadian Legion and the Government of Ukraine, was held at Konowal's grave on 6 December 1995, Ukrainian Armed Forces Day. An upright grave marker, identifying Konowal as a Victoria Cross recipient, was placed in the Notre Dame Cemetary by Veterans Affairs Canada. Trilingual historical plaques honouring Konowal were unveiled across Canada, first in the Cartier Square Drill Hall of The Governor General's Foot Guards in Ottawa (15 July 1996), then at The Royal Canadian Legion Branch 360 in Toronto (21 August 1996) and eventually in New Westminster, British Columbia. Filip Konowal, a Ukrainian Canadian who enlisted in the 77th Battalion, while serving as a corporal with the 47th Battalion of the Canadian Expeditionary Force, fought with exceptional valour in August 1917 near Lens, France. 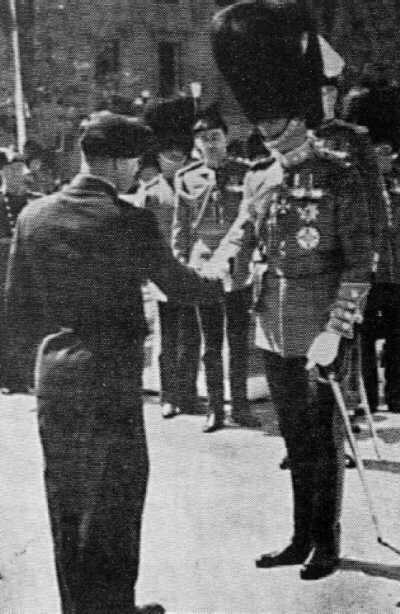 For this His Majesty King George V personally conferred the Victoria Cross on him in London on 15 October 1917. Bishop, A., "Our Bravest And Our Best: The Stories of Canada's Victoria Cross Winners", (Toronto: McGraw-Hill Ryerson Ltd., 1995). Kaye, V.J., "Ukrainian Canadians in Canada's Wars", (Toronto: Ukrainian Canadian Research Foundation, 1983), Edited by J.B. Gregorovich. Machum, G.C., "Canada's V.C. 's", (Toronto: McClelland and Stewart, 1956). Melville, D.A., "Canadians and the Victoria Cross", (St. Catherines: Vanwell Publishing, 1986). Morton, D., "A Military History of Canada", (Edmonton: Hurtig Publishers, 1985). Morton, D., and Granatstein, J.L., "Marching To Armageddon: Canadians and the Great War 1914-1919", (Toronto: Lester & Orpen Dennys Ltd., 1989). Prymak, T.M., "Maple Leaf and Trident: The Ukrainian Canadians during the Second World War", (Toronto: Multicultural History Society of Ontario, 1988). Rawling, B., "Surviving Trench Warfare: Technology and the Canadian Corps 1914-1918", (Toronto: University of Toronto Press, 1992). Swettenham, J., editor, "Valiant Men: Canada's Victoria Cross and George Cross Winners", (Toronto: Hakkert, 1973). His Majesty King George V is quoted in the Ukrainian Canadian Veteran's Association Newsletter, Nos. 11-12, Volume 2, November-December 1954, Ottawa, edited by G.R.B. Panchuk. A copy is located in "The Paul Yuzyk Papers" at the National Archives of Canada, Ottawa. For H.A. Mackie's letter to R.L. Borden see Document No. 10 in Kordan and Luciuk, eds, A Delicate and Difficult Question, 36-41. See "VC Winner Was Almost Shot As A Deserter", by Austin F. Cross, The Ottawa Citizen, 16 June 1956, 2. 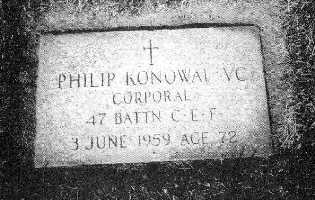 See Corporal Philip Konowal, V.C. "Application for Membership In The Canadian Legion of the British Empire Service League", the original of which is on display at Branch 30 of The Royal Canadian Legion, 135 rue Eddy, Hull, Quebec. See F. Konowal to S. Pawluk, 17 May 1956, "The Stephen Pawluk Papers", National Archives of Canada, Ottawa. On 8 December 1995 the secretary of The Victoria Cross and George Cross Association, Mrs. D. Grahame, wrote that Corporal Konowal's Victoria Cross "is held by the Canadian War Museum". 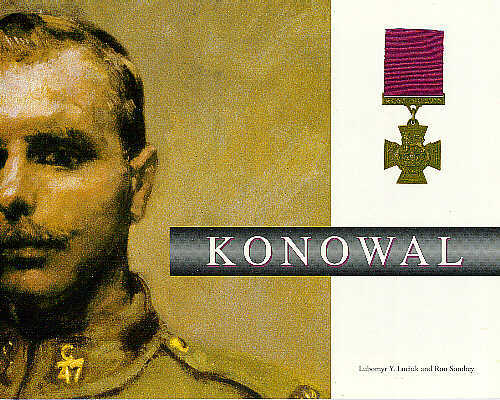 However, it may be that the museum does not own Konowal's medal. In a letter to Dr. L. Luciuk, 3 May 1996, Mr. D. Glenney, the museum's Director, Collections and Research, reported: "I must also inform you of some unfortunate news. The Victoria Cross shown is a replica... The Canadian War Museum acquired Konowal's medals from an Ottawa dealer in 1969. They were displayed until 1972, and later put in storage. Our records indicate that at some point between 1972 and 1974, the Victoria Cross was listed as missing. However, our early records are sketchy; the medals are not described in detail as to engraving. It is possible that we may never had received the original. An exhaustive search of our records at my request this winter failed to shed any new light on the situation. We are continuing to investigate the issue of this important Victoria Cross, to determine once and for all if the original was ever acquired, and if so, what happened to it". Various attempts have been made to honour Konowal. See, for example, Michael Petrowsky, "New Canadian War Hero Presented To King", The New Canadian, Volume III, No. 5, June 1939, 9; "Philip Konoval: Holder of the Victoria Cross", UCVA News Letter, Volume II, Nos. 11-12, 1954, Toronto, 3, 12 and Lubomyr Luciuk, "More Recognition for Konowal Urged", Ukrainian Echo, Toronto, 17 December 1980. For most conspicuous bravery and leadership in charge of a section in attack. His section had the difficult task of mopping up cellars, craters and machine-gun emplacements. Under his able direction all resistance was overcome successfully, and heavy casualties inflicted on the enemy. In one cellar he himself bayonetted three enemy and attacked single-handed seven others in a crater, killing them all. On reaching the objective, a machine gun was holding up the right flank, causing many casualties. 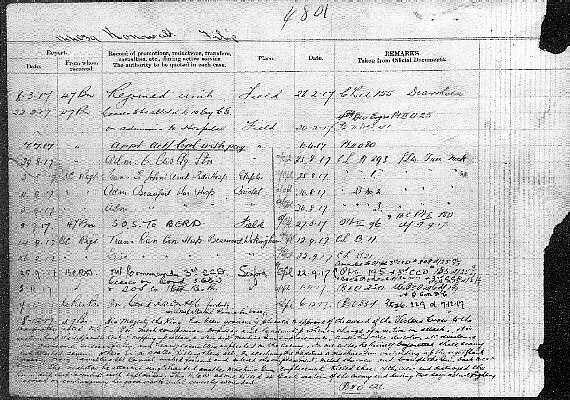 Cpl Konowal rushed forward and entered the emplacement, killed the crew, and brought the gun back to our lines. This non-Commisioned Officer alone killed at least sixteen of the enemy, and during the two days' actual fighting carried on continuously his good work until severely wounded. Little is known about Konowal's early life in Ukraine. His father owned a stone-cutting business in the village of Kudkiv, Podolia province, located on the Zbruch river, which formed the boundary line between the Russian and Austro-Hungarian empires. At age 21 Konowal was conscripted into the Imperial Russian Army. Although slight of build he became an instructor in close-quarters combat. After five years of military service Konowal emigrated to Canada through Vladivostok, arriving in Vancouver in April 1913, finding work as a lumberjack. After a few months in western Canada, he moved to eastern Ontario and found forestry work in the Ottawa Valley. Like many other Ukrainian Canadians, Konowal enlisted, in his case on 12 July 1915, with Ottawa's 77th Canadian Infantry Battalion. 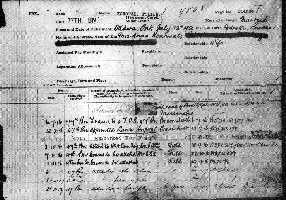 After ten months training, near Ottawa and Valcartier, he shipped overseas on 19 June 1916 aboard the SS Messanabie, which docked in Liverpool on the night of 28-29 June 1916. During a six-week layover at the Bramshott Camp a large number of men from the 77th Battalion were reassigned to the 47th Canadian (British Columbia) Infantry Battalion, Konowal among them. He was appointed to the rank of Lance Corporal shortly thereafter. With the men of his new unit Konowal embarked for France on 10 August 1916. He went into combat as part of the 4th Canadian Division in the early fall, 1916, during what would become known as the Battle of the Somme. 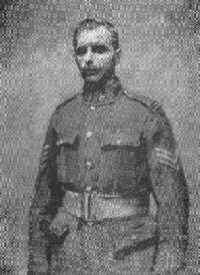 He also took part in the spring offensive at Vimy Ridge and was appointed an acting corporal on 6 April 1917. By the summer of that year the Canadian army was redeployed further north, toward the German-held town of Lens, France. 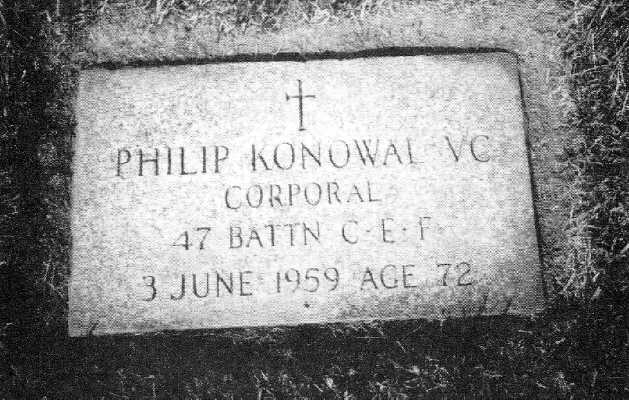 It was there, at the battle for Hill 70, that Konowal would exhibit the military virtues for which he was awarded the Victoria Cross. The 47th Canadian Infantry Battalion is today perpetuated by The Royal Westminster Regiment, in New Westminster, British Columbia. The 77th Canadian Infantry Battalion is perpetuated by The Governor General's Foot Guards, in Ottawa. 4th Class, from Russia. Not Shown. Text in English, French and Ukrainian. Dr. Lubomyr Luciuk teaches political geography in the Department of Politics and Economics at the Royal Military College of Canada, in Kingston. Mr. Ron Sorobey is a trade policy analyst for Revenue Canada, (Customs) in Ottawa. Published for The Royal Canadian Legion Branch 360 by The Kashtan Press, Kingston/Kyiv (1996). Courtesy of the Canadian War Museum, Ottawa, Canada (#8430). The authors gratefully acknowledge the financial support of The Royal Canadian Legion Branch 360 (Konowal Branch) which made this booklet possible. Special thanks are due to Marta Horban-Carynnyk and Marco Carynnyk for their translations of the English text into French and Ukrainian; The Canadian War Museum; Mr. Paul Charydczak; Dr. Yvan Gagnon, Mr. Jerry Gangur, president, Royal Westminster Regimental Association; Mrs. D. Grahame, M.V.O., Secretary, The Victoria Cross and George Cross Association; Mr. J.B. Gregorovich, president, The Royal Canadian Legion Branch 360 (Konowal Branch); Ms. Patricia Grimshaw; Mr. Mykola Kulyk (Tresurer, Branch 360); Mr. Marian Lach, president of the The Royal Canadian Legion Branch 183 (Mazeppa Branch); Major General (retd) Robert LaRose (Honourary Lieutenant Colonel, Governor General's Foot Guards); Mr. Roy Lisogar; Mr. Gerald Locklin; Dr. Jack Pike, Mr. Jerry Pohorecky (Secretary, Branch 360); Mr. Myron, Momryk (National Archives of Canada); Mrs. Olha Pawluk for permission to make use of the Konowal materials in the "Stephan Pawluk Papers" at the National Archives of Canada; Mr. Wayne Ramsay (Senior Policy Development Officer, Commemorations, Veteran Affairs Canada); Mrs. Julia Stashuk; Mr. Myroslav Trutiak (MST Bronze Ltd.); the Ukrainian Canadian Civil Liberties Association; the Ukrainian Canadian Congress; the Ukrainian Canadian Foundation of Taras Shevchenko and the Ukrainian Canadian Professional and Business Association of Ottawa. Copyright © 1996-1998 InfoUkes Inc. Originally Composed: Monday September 16th 1996. Date last modified: Saturday May 16th 1998.